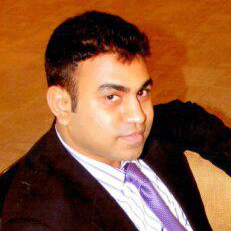 This month we have the pleasure of interviewing Sandeep Chavda, co-founder of the Actuarial Society of Tanzania. Sandeep holds a Bachelor's of Science in Statistics from University of Cape Town, and is currently an actuarial specialist with Metropolitan Tanzania Life Assurance where he works in the areas of pricing, reinsurance and product development. Sandeep Chavda (SC): Currently there are no practicing actuaries in Tanzania with an actuarial designation. I have completed a Diploma in Actuarial Techniques (CT1-CT9 from the IFoA), and I would estimate that there are approximately 20 individuals taking IFoA exams, as I am. SC: This was introduced by the University of Dar-es-Salaam in 2010. SC: Being part of a rare pool of individuals who have this qualification in Tanzania. SC: I co-founded of the Actuarial Society of Tanzania whilst in my 3rd year at university to further the profession in my country. This association is currently dormant, but we hope to get it up and running again soon. SC: There has been a growth in interest by high school students now joining the program at the local university, as well as a slow but steady recognition and uptake of actuarial graduates and value placed on the skills that actuarial professionals bring in running insurance companies and pension funds. SC: Finding leadership for the Actuarial Society of Tanzania which is currently dormant. We have a lack of exemption credits for the courses at local university, requiring students to do costly IFoA exams, sometimes without financial support from employers. There is a lack of senior actuarial personnel to provide guidance and support as well as transfer of practical technical skills. There is a lack of organized mentorship support for university actuarial students. SC: With the expected regulation requiring actuarial input in General/Short term insurance companies, it is likely to increase job prospects and diversification for those currently in life insurance companies and pension funds. Up-skilling is required in terms of technical capacity in the areas of reserving, modeling and pricing techniques for banking/capital market products like derivatives. SC: Life insurance companies, health insurance companies and pension funds. SC: At this stage, the newly introduced CAA qualification from the IFoA and its Associate qualification would be a good platform whilst building up the required technical skills and work experience to climb to the Fellowship qualification of the IFoA. SC: For those who can afford it, actuarial science is pursued overseas. Most high school students opt to join the local university (University of Dar-es-Salaam). SC: Not in place. The law recognizes Associate and Fellowship qualification from reputed organizations such as the IFoA and SOA. SC: Few employers support this. Those who do are foreign-owned companies who have an actuarial support policy from the originating country and hence apply this for locals as well. One example of this are South African-based insurance companies with a presence in Tanzania. SC: The profession is gaining reputation as students pass more exams and add value to their organizations. This is, however, not moving at a desirable pace and could be remedied by seminars and workshops for potential employers, showcasing the technical skills and added value actuaries can have on their companies. SC: Tanzanian actuaries need support from large actuarial associations in terms of mentorship and exam support, technical skills training in practical aspects of actuarial work for those who are working and studying at the same time and workshops/seminars for employers. Sandeep can be contacted via the following email address: svchavda@gmail.com.